BBC Radio Newcastle Live Broadcast from Bluebell Bus! Brian sets off on his epic challenge this Monday 5th March from the Baltic side of the Millennium Bridge. Hope you managed to listen to the BBC Radio Newcastle Live Outside Broadcast from the Freeman Hospital, if not, you can catch up on this very emotional interview with Brian by clicking the link below. 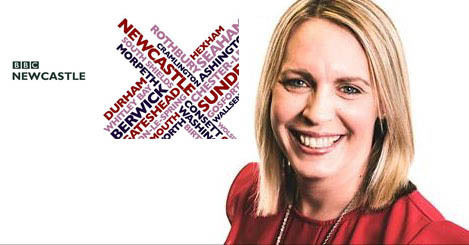 Lisa Shaw Morning Show from BBC Radio newcastle. We all look forward to seeing you and supporting Brian on Monday!